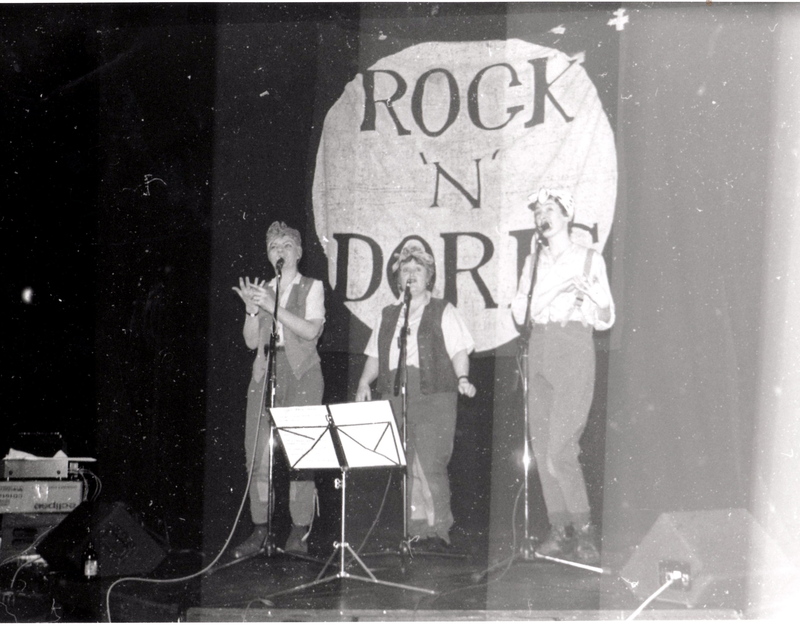 A political cabaret duo active on the alternative circuit and women’s gigs, Rebel went to Belfast and toured round Ireland in Julie’s camper van. 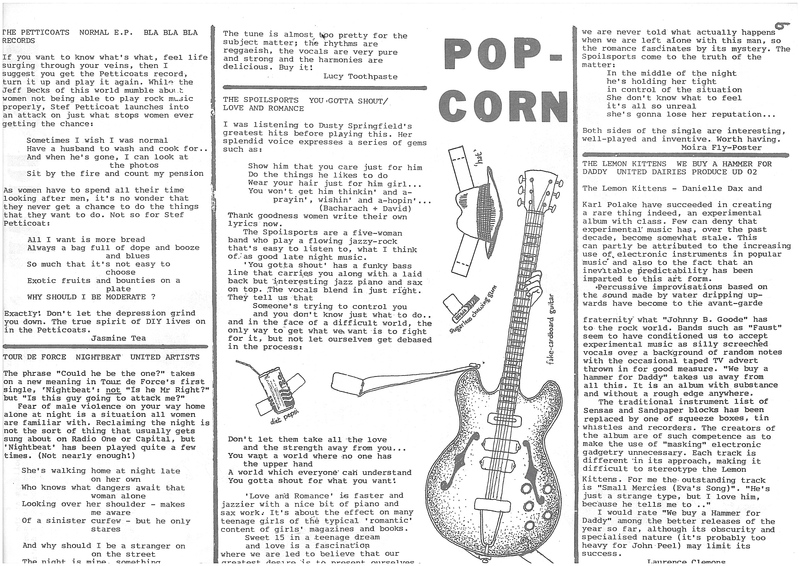 Note bandaleer of tampax. 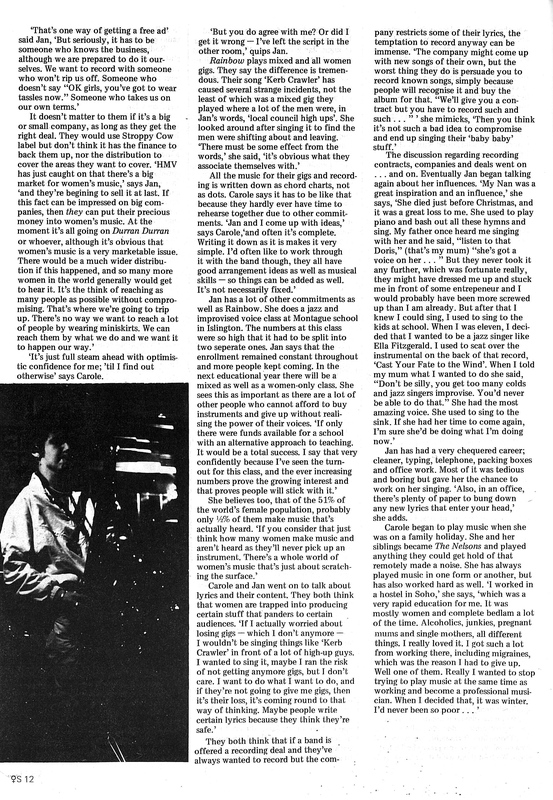 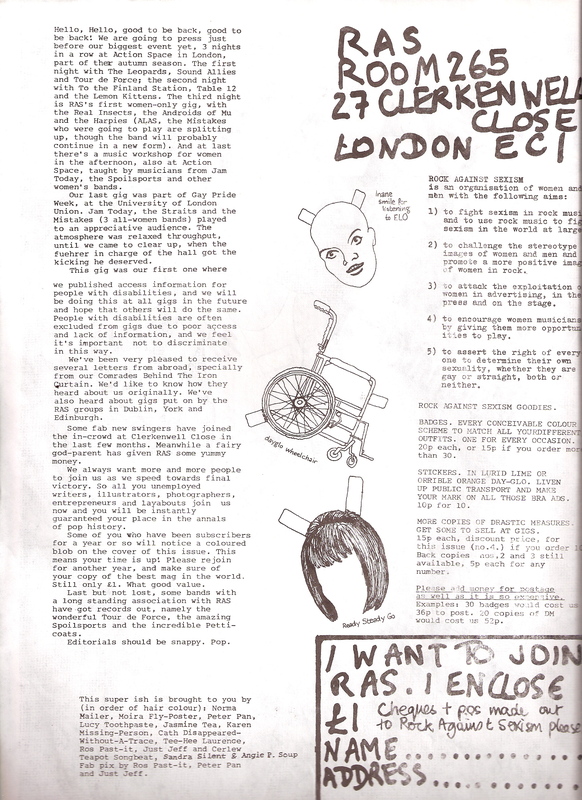 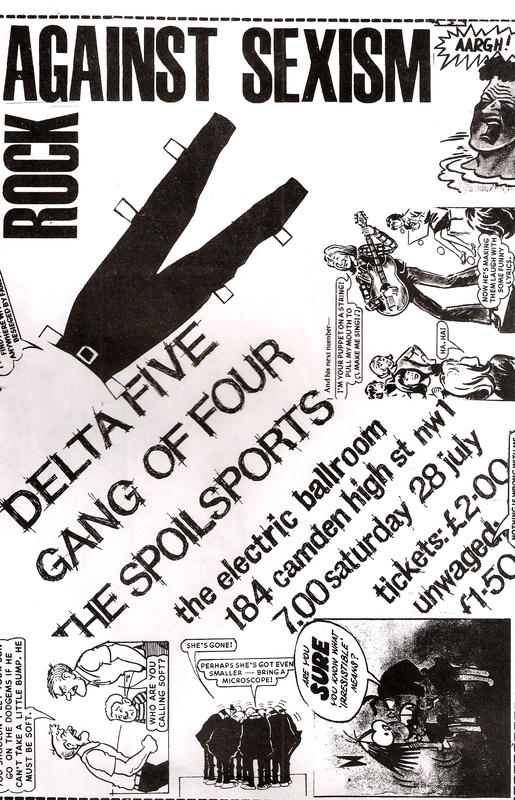 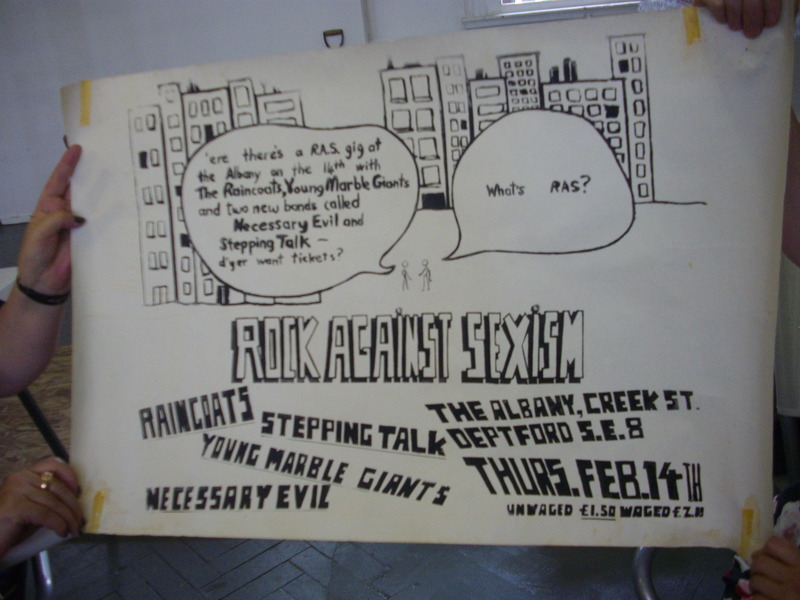 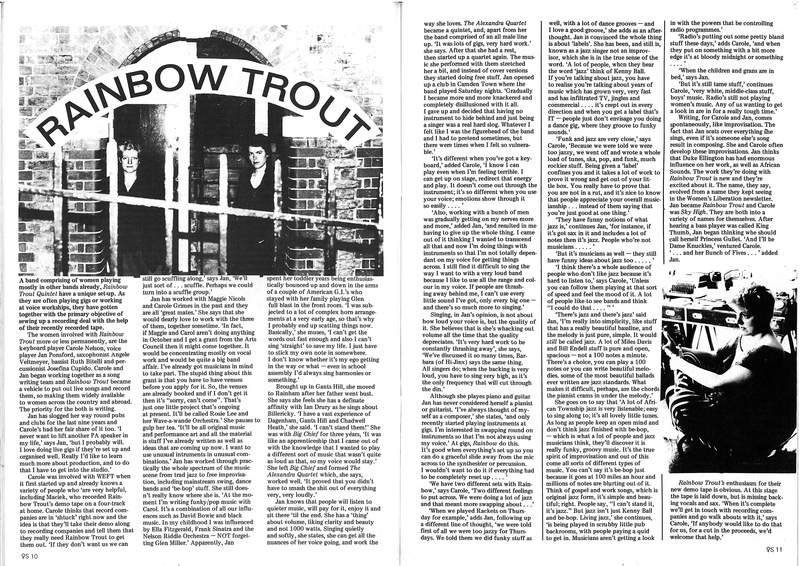 Rock Against Sexism produced a magazine, ‘Drastic Measures.’ One of its founders was Lucy Whitman (then Lucy Toothpaste), who had started a feminist and anti-fascist fanzine called JOLT, been involved in Rock Against Racism, co-editing the RAR magazine ‘Temporary Hoarding’, and later joined the Spare Rib collective. 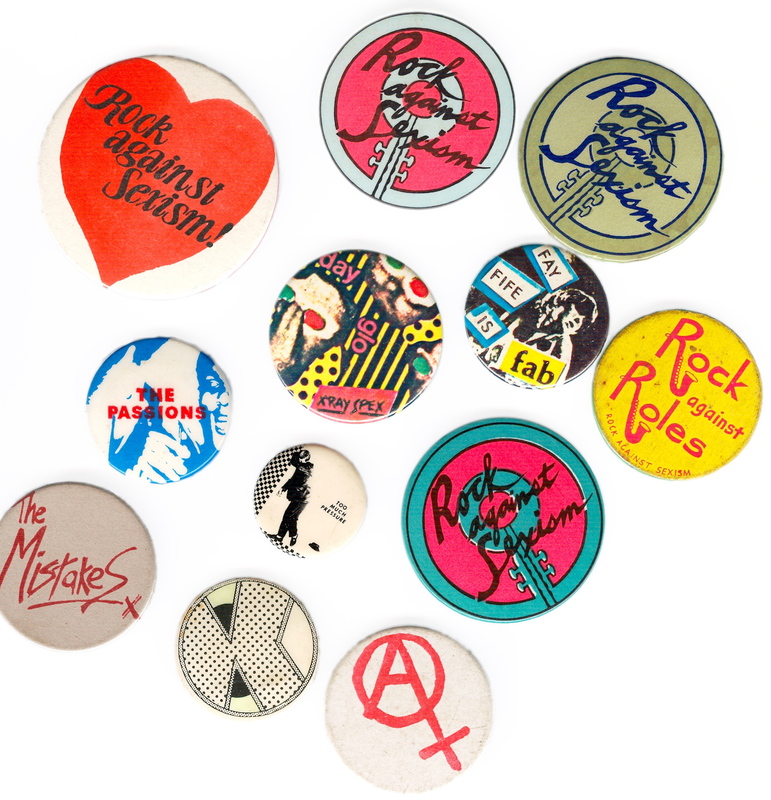 Lucy Whitman’s scrapbook of Rock Against Sexism magazines, shown during a presentation at Rachael House’s Fine Arts MA show, Feminist Disco, in 2011. 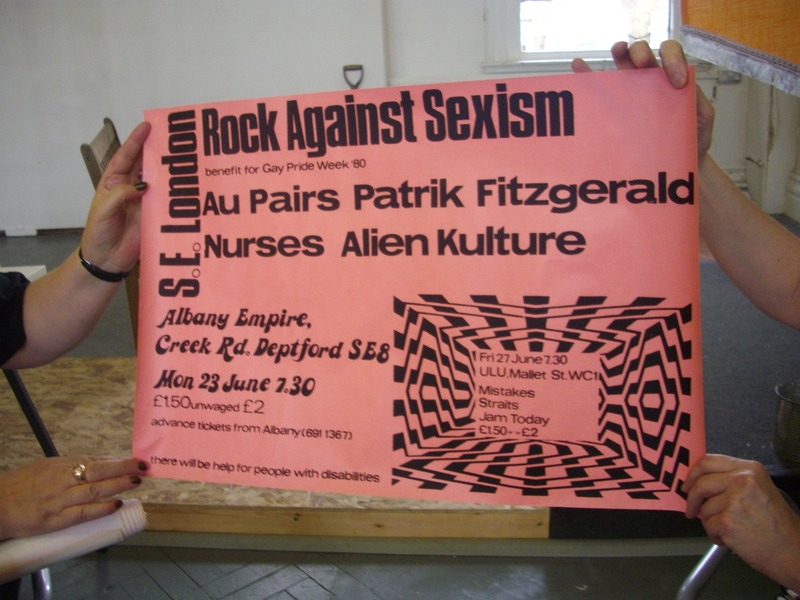 Rock Against Sexism gig poster from Lucy Whitman’s memorabilia collection, photographed on display at Rachael House’s 2011 MA show. 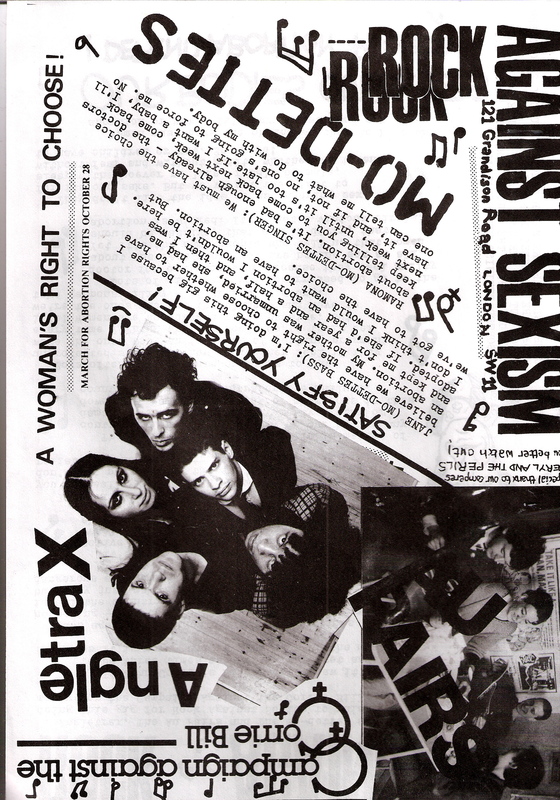 Feminist Disco. 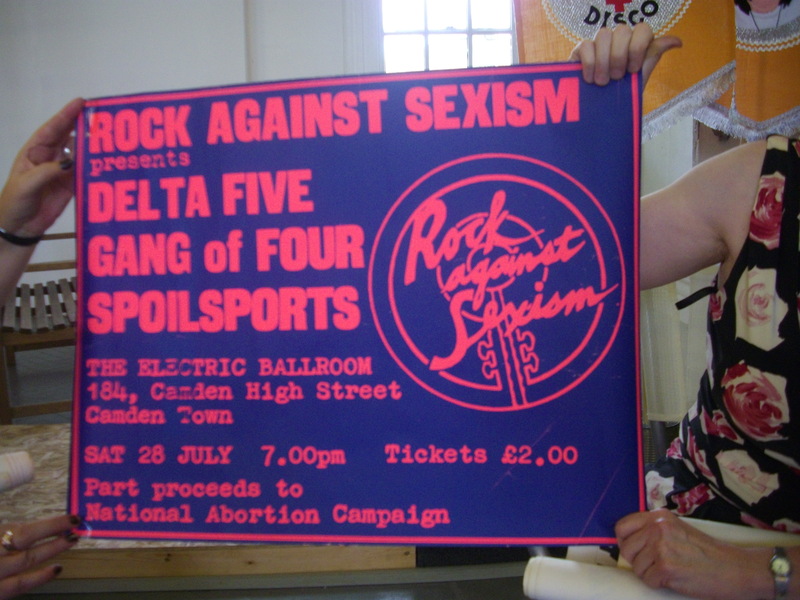 Poster for Rock Against Sexism Electric Ballroom gig, from Lucy Whitman’s memorabilia collection, photographed on display at Rachael House’s 2011 MA show Feminist Disco. 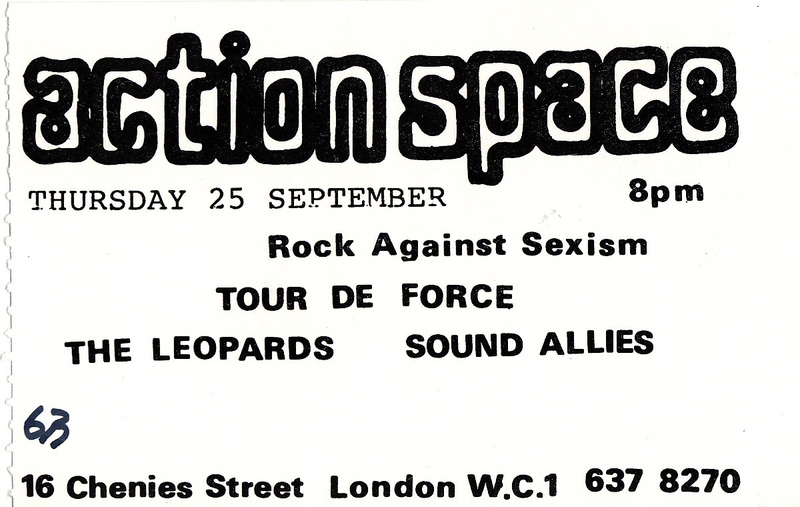 A long-standing Lesbian Music event in Newcastle since the 80’s. 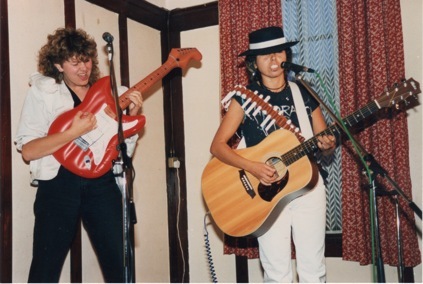 Can anyone help us find the name of the trio? 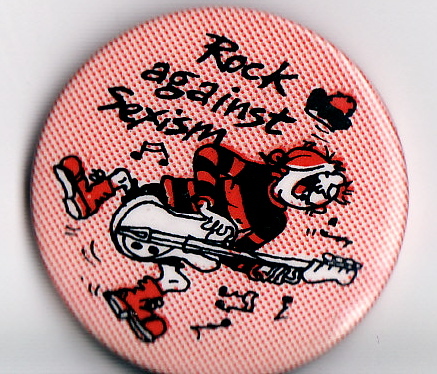 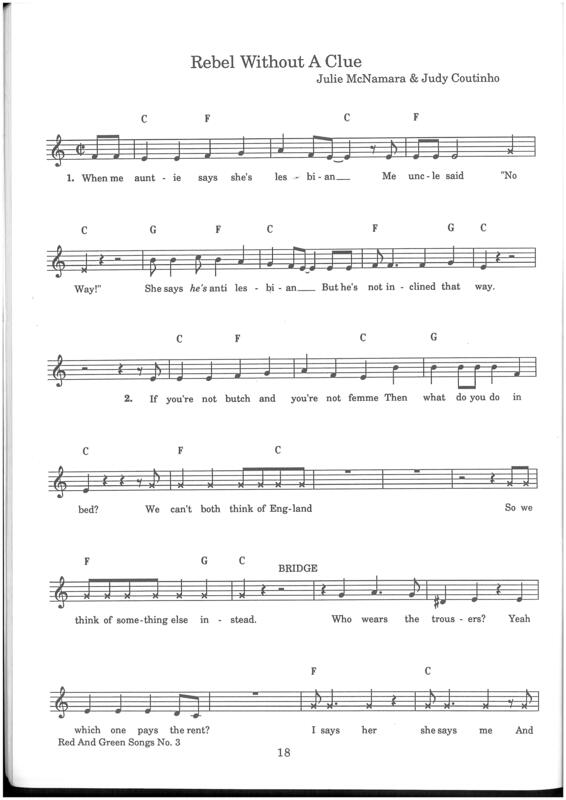 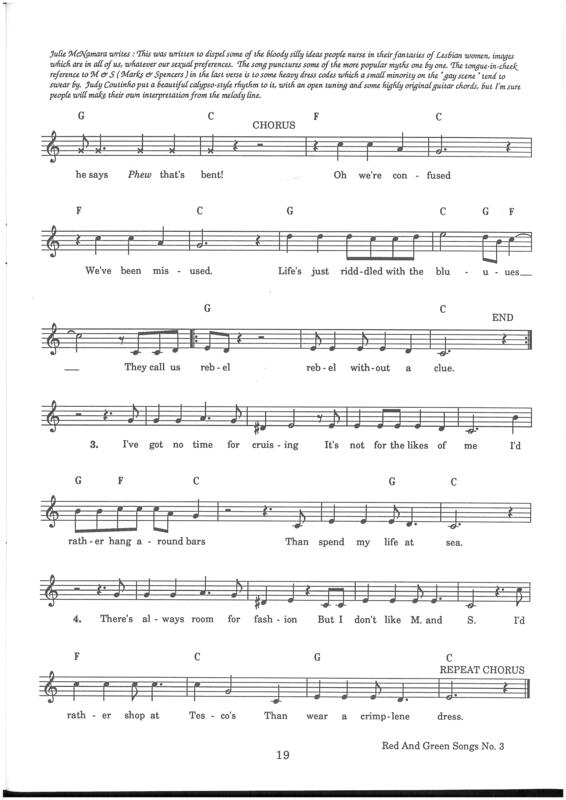 Birmingham-based feminist singing group in the mid-seventies.